In 177 days it will be Halloween. In 2013 I did a Halloween horror author countdown during the month of October, in conjunction with an e-book giveaway that netted one lucky winner 23 e-books. It was a spur of the moment thing and it was a hell of a lot of fun. I had planned to do one in 2014, but one thing led to another and before I knew it Halloween had snuck up one me. This year I want to do it right. I want to pull together 30 up and coming horror authors who are willing to write one post on any subject within the horror genre for the countdown, and are prepared to send one copy of their work to one lucky winner. If we multiply our promotional muscle by thirty we can really spread the word about our work and possibly even garner some sales. The countdown will end in conjunction with the 2015 Coffin Hop that takes place the last week of October leading up to Halloween. 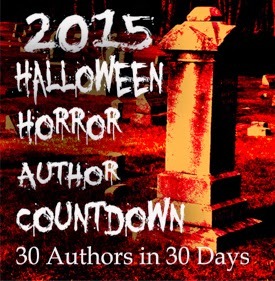 When I did the countdown in 2013, I reached out to those authors I know. This year I want to feature authors I don't know, whose work really deserves some attention. I've been a fan of horror since I was a wee lad of ten. For forty seven years I've mucked about in the horror genre, reading everything I could lay my hands on, in that time I came across some great works, and some not so great. If you'd like to participate send me a link to your latest release, I'll check out the sample, and if I like what I see I'll contact you for more. I'll select the thirty best to participate in the countdown. My decision will be final. If you don't make the cut this year, there is always next year, so please bear that in mind when I make my announcement.